The Perfect Immersion of Spirit and Grounded Action. 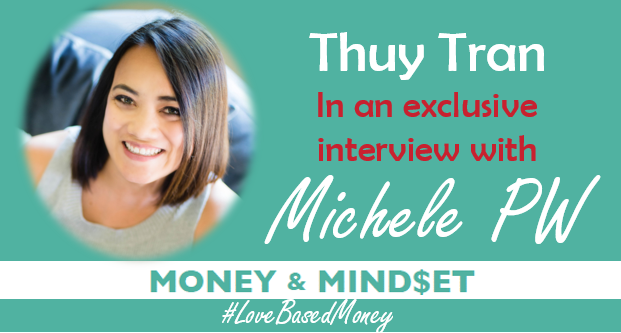 In this episode, Michele interviews Thuy Tran, Master Manifestor, Intuitive Mentor for Life and Business, and Certified Energy Practitioner. Her coaching focuses on mindset, energy work, Law of Attraction, and tried-and-true business strategy. She helps clients break through limiting beliefs and fears in order to connect to their core professional and life purpose. How manifesting can help your business make more money. The power of changing your mindset in relation to your business. 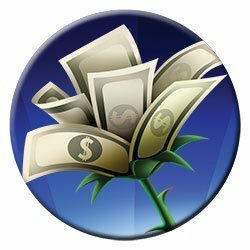 Tips to achieve a new money mindset. What you must let go of, if you really want to make more money. 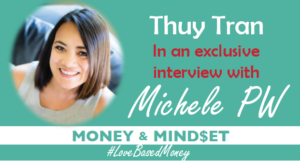 Thuy also shares her own personal story of leaving a lucrative six-figure job to do what she loves. She talks about how she was “the biggest skeptic” when it came to manifesting – how she asked the Universe to prove her wrong, and how it did! However, it’s not about sitting around all day just waiting for things to happen. Thuy explain how manifesting is about a beautiful immersion of positive thoughts and grounded action.